TOPS FocusNotes Center-sewn Composition Book - 80 Page - Letter 7.50"
Media Size: Letter - 7.50" x 9.75"
Innovative composition book delivers a clear, concise way to take notes, using the ID note method that is comparable to the Cornell Note-Taking System. 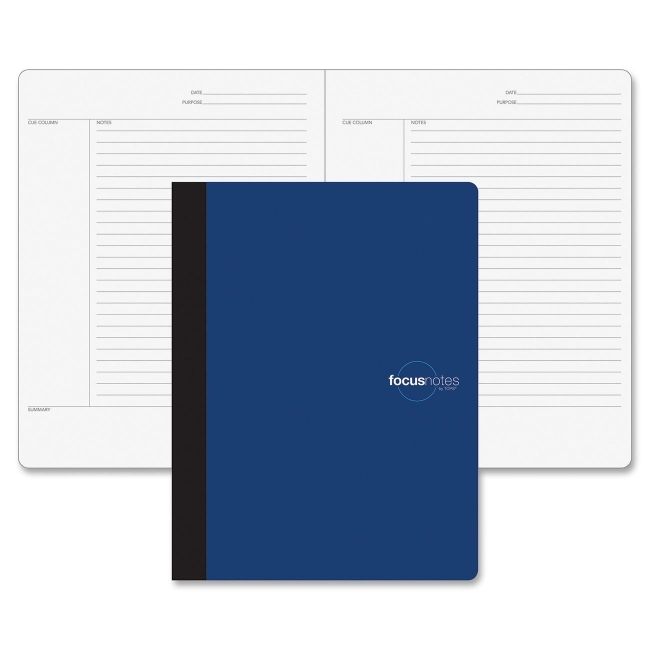 This topbound, junior-size writing pad features a cue column to identify key points, traditional note-taking area and page summary to identify and summarize the main points on each sheet. Pages are center-sewn to stay permanently fastened in book. Heavyweight, 20 lb. paper portrays a professional appearance. Privacy cover protects sheets.